Well week 2 is over and it’s definitely a challenge! I’m loving this though as it’s really inspiring me both with colour combinations and designs that I’ve done well with and really want to recreate and also utter nail fails which I think would work really well if I just didn’t feel so pressured to get them done. I definitely recommend anyone who has never tried the 31 day challenge to give it a go, it’s a daunting thing but so much fun. Anyway on to the pictures from the last week; it’s so annoying because some of these I’d love to have kept on for days. Day 7: Black and White. 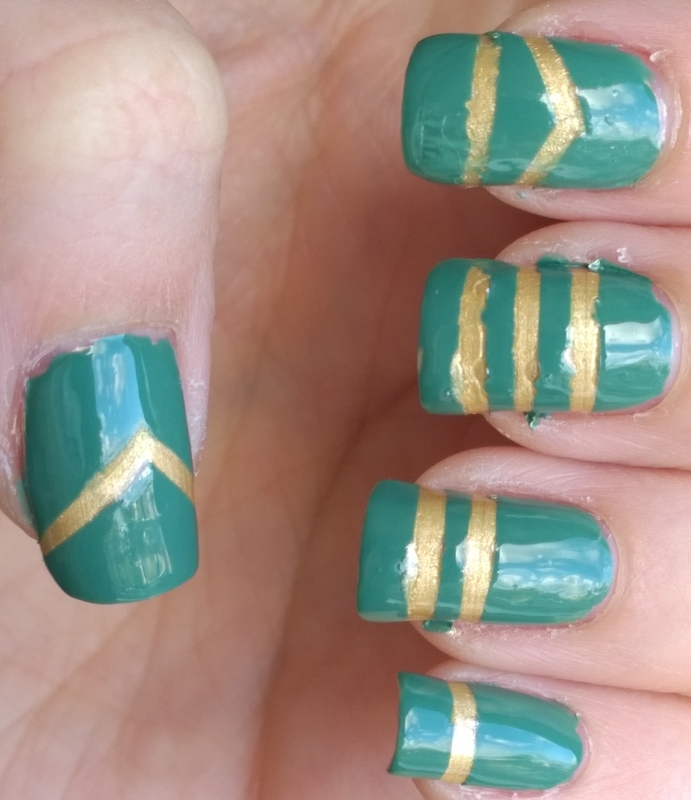 My UberChicBeauty nail art mat turned up on this day so I experimented with decals. 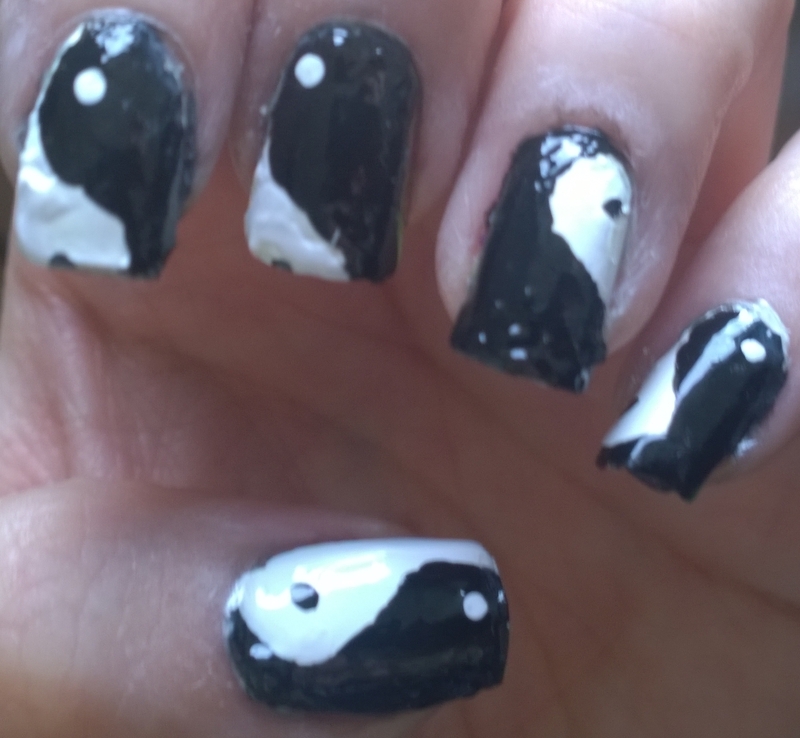 Unfortunately I’m rubbish at applying them so these are a bit of a mess. Day 8: Metallic. 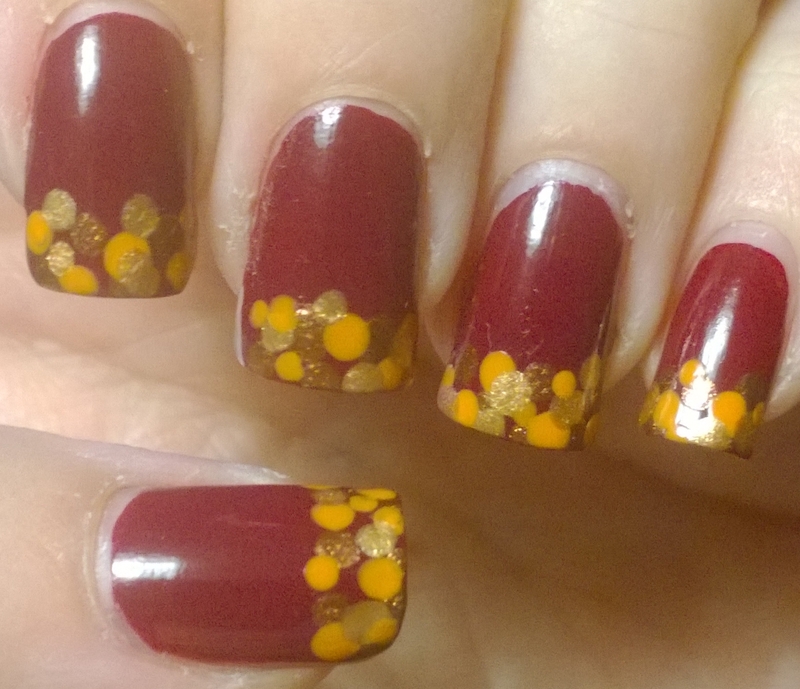 I went with the literal version for this, the gold flakes are Cirque Color’s “AU” – 22k gold flakes. The gradient beneath is 2 gorgeous A England shades and 1 OPI shade. I tried to show the holographic effect but my camera just didn’t want to pick it up. Definitely one I’ll recreate. Day 9: Rainbow. 80s kids will love this one! 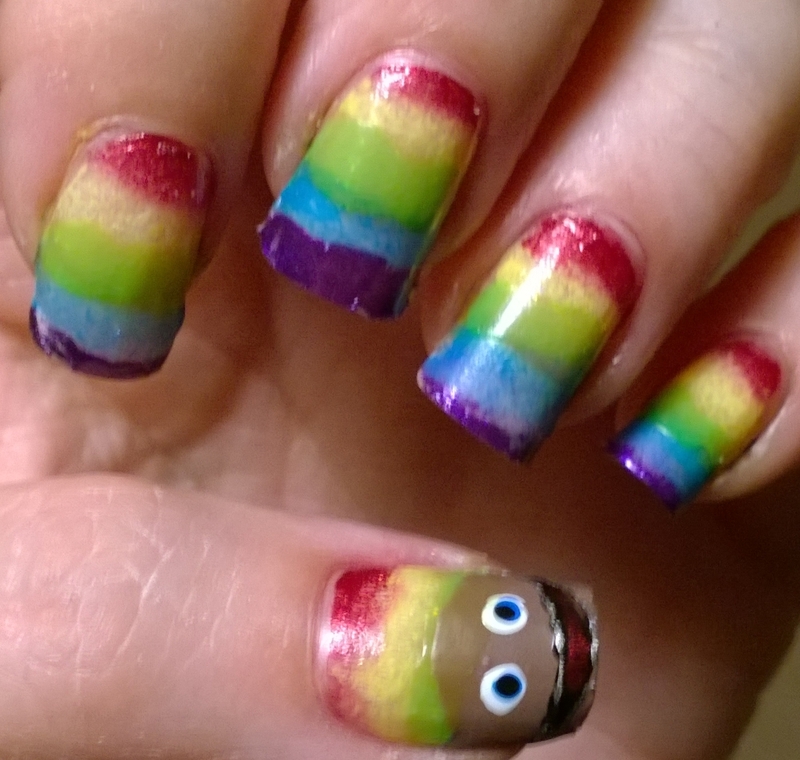 I’m quite proud of Zippy on my thumb, however i was doing this manicure over a peel off base which, well, lived up to its name and started to peel off! Day 10: Gradient. 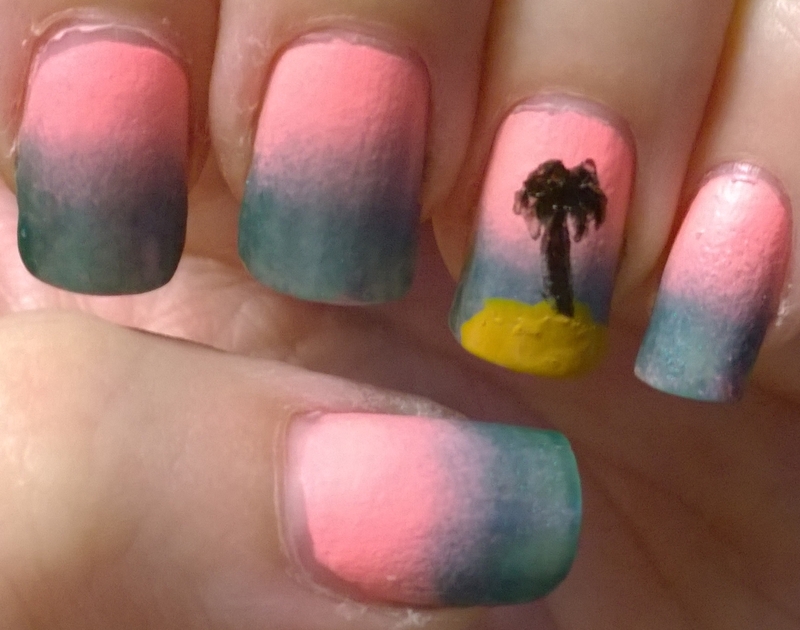 I had to do a sunset gradient and then used a stencil from the August Meebox to get the palm tree, it did smudge under the stencil slightly though. Day 11: Polka Dot. My favourite so far, I love the colours, I love the look, I love the whole thing. Gutted I had to take it off and will definitely redo this one. It was inspired by autumn leaves lying on the ground. Day 12: Stripes. Inspired by the insignias military personnel wear on their shoulders (but not based on any actual ranks). 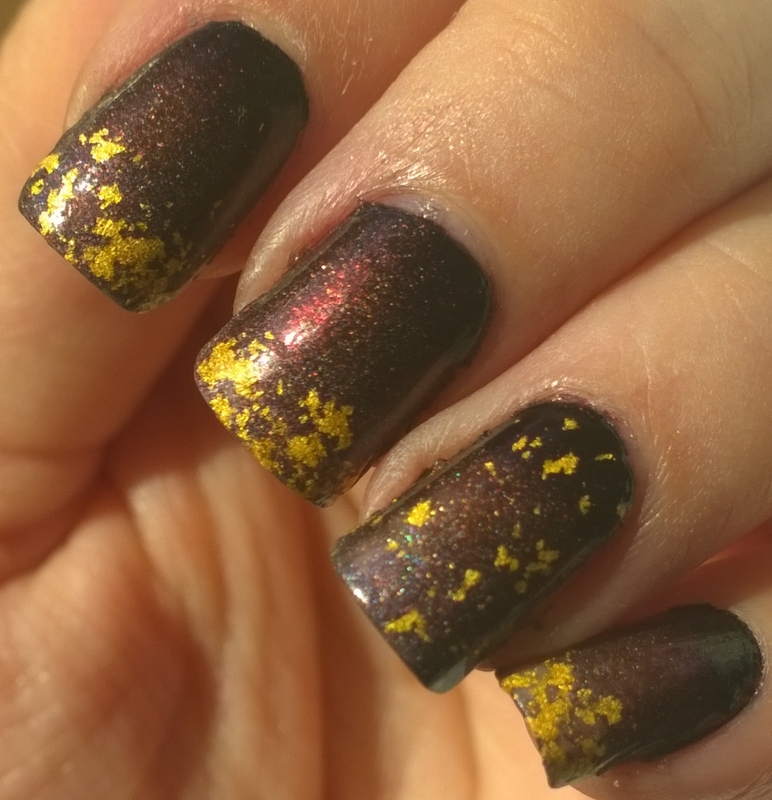 Seche Vite top coat went really weird on this one though. 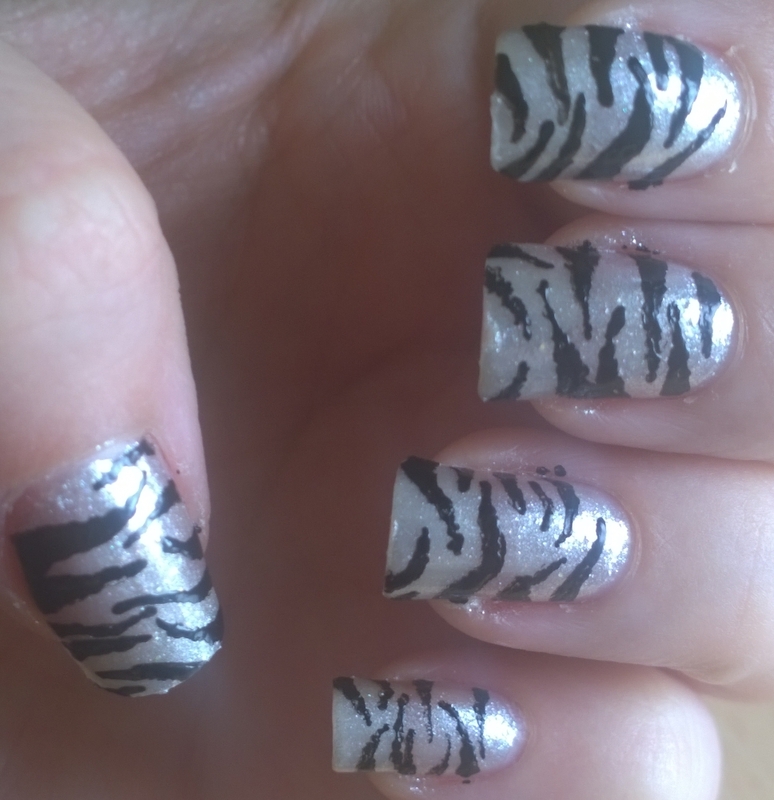 Day 13: Animal Print. My very first nail art 19 years ago was a tiger print so I had to do this one well, it’s the design I’ve done the most over my years of nail art. I suppose it’s meant to be a zebra print but actually makes me think of Tristam, Adina of A England’s adorable silver tabby cat. So there we go, one more week under my belt, just over 2 to go. Getting more complex but so much fun. I’m loving looking through other peoples designs too. 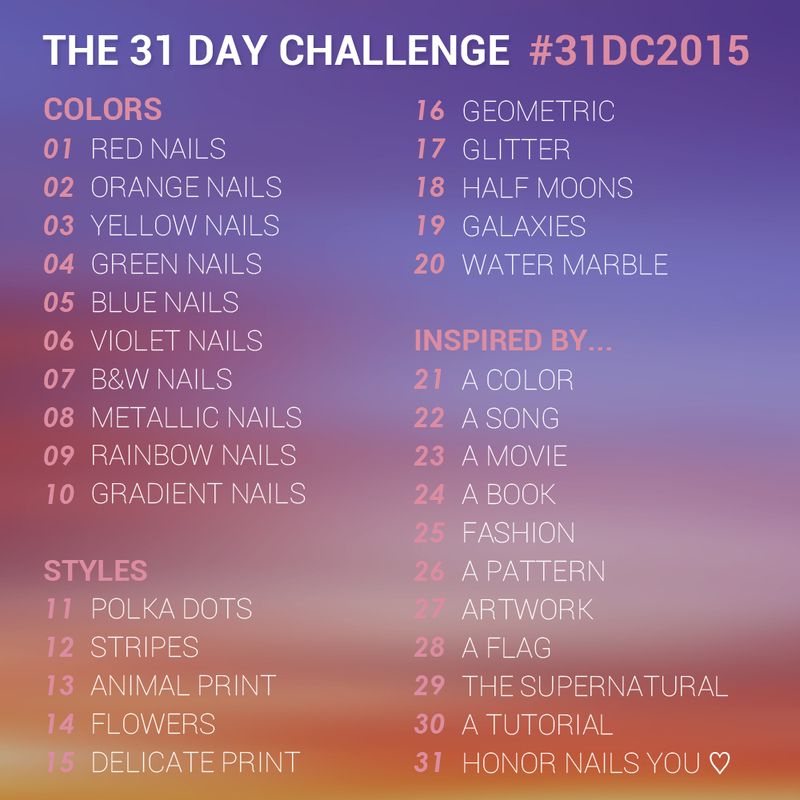 Please link me to your own 31 day challenge pictures, I’d love to see what you’ve all been inspired to do.